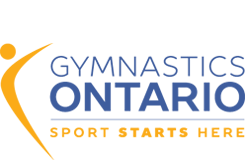 Gymnastics Ontario is a proud member of the True Sport Foundation, a national charitable organization that is dedicated to advancing and supporting values-based and principle-driven sport in communities throughout Canada. Your club can commit to the True Sport Principles by joining the growing movement of Canadians who believe sport can make a great difference. There is NO COST for joining. Go to https://truesportpur.ca/join to DECLARE NOW! After joining True Sport, download the True Sport declaration certificate, sign it and hang it in a prominent place for all to see.